Just a few of my watches with dead batteries. Is there a conspiracy to prevent my time from marching on? I love watches . A watch featuring Snoopy playing tennis with a yellow ball racing around as the second hand was my first timepiece, a Christmas gift one year when I was a kid. Although I have a thing for the time-keeping wrist jewelry I haven't worn a watch in about 3 months because...I can't find a battery. For some reason, watch batteries are hard to come by or at least finding someone to install a watch battery is a dying art form. Is this driven by supply and demand? Are more people relying on technology for timekeeping therefore fewer batteries are being manufactured? Seriously, I'm blaming the smartphone industry. With the age of smartphones (and dumb phones) and other gadgets, when asked "What time is it? ", do you check your wrist or electronic device? (Or maybe you reach into your pocket for a pocket watch.) If phones are glued to us 24/7 why be redundant and wear a watch? My most recent pursuit for a watch battery led me to three places after which, I've given up for the time being. Wal-Mart won't install batteries in watches not purchased in one of their stores. 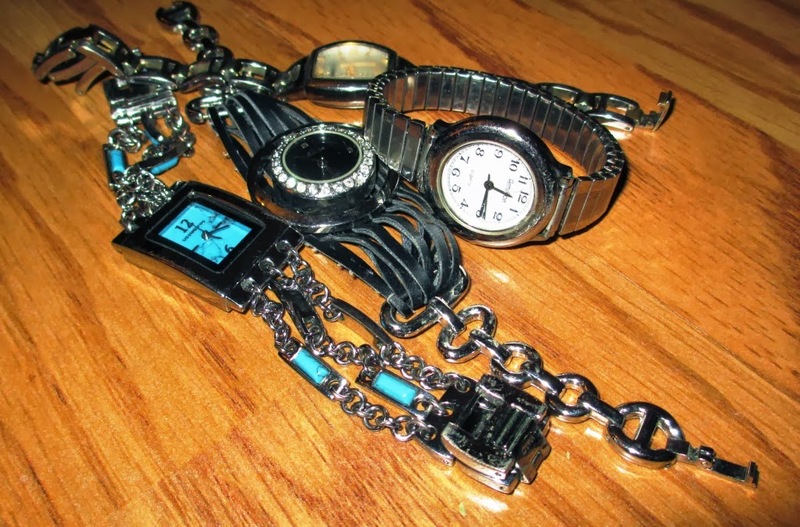 They don't require a receipt but by looking at the watch they can tell whether it was purchased there or not. Why? If they break the watch they can replace it. I then visited the J.C. Penney jewelry counter where I purchased it but the clerk said she was too busy to assist me. Finally, I visited the battery kiosk at the mall but nobody was there. Three strikes and yer out! It's probably cheaper to pick up a new watch than spend more of my time in pursuit of a battery. I wonder when technology fails how will we know what time it is? I mean, there are some situations when a smartphone won't be available and there have been power blips shutting down electronic devices. Remember that blackout in the Northeast back in 2003?